A hazelnut breaks from its husk, clatters against limbs, and thuds to the dirt. Will says, “Oh,” and points toward the direction of the commotion—a surprising sound for a small object. I look back toward Will, who is strapped into my blue Osprey backpack. I say “ha-zul-nut,” enunciating each syllable—reliving its descent to the ground. Narrating our walk, I name the world around us for my one-year-old son—tree, bird, stick, branch, airplane—while we kick up dust. I want my son to know the names of the flora and fauna in our new land, but first I need to learn the lexicon. “Nuh,” I think I hear him say, though this might be the generosity of a father’s pride. It might have been a burp. At this point, Will has mastered only essential communication: “no,” “more,” and “ball,” though he does utter “moo” and “neigh” at the sight of ungulates; cows and horses are interchangeable. “Yeah,” I say, “hazelnut—you got it.” I stop and survey the neat rows of newly planted, spindly trees stretching out before us, a sacred space just beyond our backyard. The young trees aren’t much taller than Will, with maybe ten small green leaves each. They will produce nuts in roughly three years, but it will take seven seasons for them to yield a profit. I don’t notice the daily changes, but each year I marvel at how much each tree has matured. Each trunk slowly widens in girth, and small hazelnuts miraculously appear in early summer and litter the ground by September. Before it was an orchard, this land was a chicken farm. My wife’s grandpa purchased the land and raised chickens to produce eggs, moving from Portland to Newberg, twenty miles southwest. Eggs paid the mortgage until they didn’t; a large egg producer purchased the chickens, and Grandpa Ben switched to filberts—the name most Oregonians use for what others know as a hazelnut. This turned out to be a lucrative choice. With strong markets and prudent husbandry, the two-man crew swelled to eight full-time workers with additional hands during harvest each fall. Grandpa Ben retired, and his son, Benson Clark, whom we call Uncle Benny, took over operations. Now, Benny’s son-in-law, Michael, has assumed daily operations of the orchards and business. Although the children who grew up in the farmhouse remain involved, and tractors rumble down our driveway every day, we do little more than wave at the workers and walk through the orchard. The work of pruning, fertilizing, and grooming the grounds goes to others. I tighten the backpack’s strap around my waist. Will’s up to twenty-five pounds, and I need the extra support on my hips as we amble down the slope from our house. The first acreage is young trees, planted only last year, still frail, but soon the sixty-year-olds welcome my steps with their knobby trunks and girth of many harvests. Their roots stretch six-to-ten feet deep beneath the earth, holding firm through the deluge of winter and the dust of summer. A left turn yields the payoff for each saunter through the orchard: the pond. It’s a small reservoir shaped like a hand forming a peace sign, with two fingers branching off toward the northeast. It’s lined by spruce trees, the product of a failed Christmas tree farm from years ago, now a successful stand of sturdy evergreens. Walking toward the pond, we startle our resident blue heron, who erupts from across the water, her gangly legs and pterodactyl-like wings flapping into air. “Look, Will—it’s a bird,” I say. He lurches toward the sound, his finger aimed at the object soaring away. We stop and turn, admiring the heron gliding over the trees and off to the nearest pond, half a mile away. The beauty of this place settles as my gaze leaves the bird and traces the hills surrounding our valley, the neat rows of hazelnut trees, the shimmering surface of the water, and the Coast Range deep on the horizon. This is a beauty I’m still getting accustomed to; it’s not the arresting awe of a glacier nestled between mountain peaks, or the grandeur of endless inlets and bays, but the understated glory of quiet water and still trees. I pause and look for a bass surfacing, to see the wind ripple across the water. Today, I cut in along the pond’s edge, following the reeds, shooting straight up from the bank, and I notice rivulets trailing bugs on the water and dimples reverberating out in concentric circles from a fish rise. I circle around to the old aluminum boat and imagine Will and me floating in the middle of the pond someday in the distant future with fishing rods and stories to tell of a legendary catfish. After three years on the farm, I feel more acquainted with the land: I know where squirrels scurry into oak trees and where coyotes pass through the brush; I know where feral cats bring their quarry and where to look for the owl perched near the top of a Sitka spruce near Flatters’ Road in the late afternoon. This wide-open space provides a margin for my busy life, a breath of quiet. It’s a space my wife worried might not exist in the lower forty-eight when we decided to move from Homer, Alaska; she feared life might be too manicured and suburban—too distant from her years growing up on Kodiak Island, where unpopulated places were ubiquitous. Although we are fortunate to have acreage to enjoy, suburban sprawl continues to encroach on fields and pastures—just down the road, a new development is slated to be finished by fall: forty-six new homes on five acres of land. Four years earlier, barnacles of ice coated the boat’s hull after a blustery Gulf of Alaska crossing at the end of winter break. The hydraulic lift groaned upward, shaking snow and ice from the MV Tustumena’s car deck as we slowly ascended toward the squall above. All that was left of our journey home—from Kodiak to Homer—was a twenty minute drive, eight miles down East End Road. Emily and I were three years out of graduate school, three years into our teaching careers, and three years back in Alaska. We were ready to be on land after a choppy winter crossing, but we still felt uneasy calling Homer home. Kodiak Island still felt like home, the place where we’d grown up. We missed the family friends from church, Emily’s aunt, my brother and his wife and kids, and the numerous acquaintances who felt more like family. Going from a place where we were known to a place where we felt unknown was deflating and unexpected. Homer, a place of postcard beauty, swells in the summer with tourists but stands idle in the winter. Still, its beauty is unmatched: Kachemak Bay, a peaceful haven of water tinged with runoff from a handful of glaciers, is lined by the Kenai Mountains, imposing and snow-covered most of the year. Our rental home was well-crafted and rustic—eighteen feet of windows captured the view—and our jobs were satisfying and challenging. I taught at the high school and Emily instructed fifth-grade students at one of the local elementary schools. We enjoyed our coworkers and loved our students, but the question nagged: why didn’t it feel like home? Why didn’t we feel like we belonged? We had returned to the forty-ninth state after becoming teachers, hoping we might land a job in Kodiak. We assumed the odds were good. As in many remote Alaskan locales, most teachers don’t last more than a year or two on The Rock. Its isolation, darkness, and rainforest precipitation make adjusting to life there challenging at best; yet, when we were job-hunting, Kodiak wasn’t hiring. One day, however, while searching the employment sites, I spotted an opening at Homer High School and noticed the boss was my old middle school principal in Kodiak. I got the job, and Emily and I packed up our cars and drove north from Oregon with our degrees in hand, loading our earthly possessions in a Toyota Tundra and Matrix. We set out on the ALCAN Highway for what we assumed would be thirty years of Alaskan living—just like Emily’s parents, who retired after teaching for twenty-plus years in the Last Frontier. 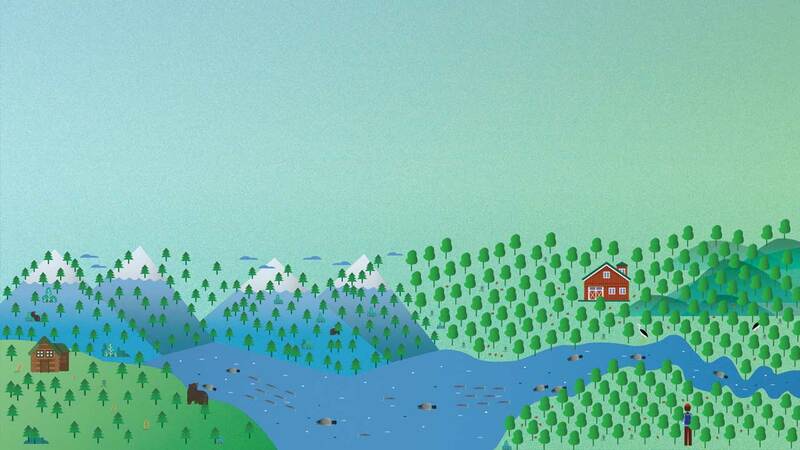 The gift of Homer was that it made leaving Alaska possible; we didn’t agonize over the decision because it seemed clear: stay in a gorgeous place we didn’t feel connected to, or establish our family near parents and soon-to-be grandparents. Three months after deciding to leave, we quit our jobs and drove down the only road out of town; we knew we had a place to stay and possibly an old farmhouse to take care of. It’s September 26, and this eighty-degree day feels like summer as Will and I walk down the road in the middle of the orchard. The smooth dirt, moist from the last rain, is pliable but firm. It is harvest: hazelnuts ricochet off branches every thirty seconds, the small nuts making a racket on their way to the dirt. We’ve passed the pond and are on the final stretch of our loop. Walks with Will have become an almost daily tradition since he’s been old enough to fit into the pack. While we know the grooves in the dirt and the terrain better, the total property spans upwards of six hundred acres, and there is much more to explore; moreover, the orchard is in a constant state of change. Not only do the trees transform with seasons, they also need to be replaced due to blight, a disease that has infected all the trees in the Willamette Valley. Every single one of the old trees will be ripped up and burned to make way for blight-resistant nursery stock. The acreage surrounding our house was replanted last year, so the trees represent a fresh start. These fall days are my favorite. Unlike Alaska, where September brings termination dust—a first coating of snow on the tops of mountains—and an inexorable transition toward winter, in Oregon, September means comfortable evenings around the fire, extended strolls in the orchard, and pumpkin doughnuts with cider. Winter still feels a long way off. Rounding the Flatters’ place, a one-story home surrounded by towering oak and spruce trees, I trudge up the road. They’ve lived tucked away in the orchard for years and worked out a deal to stay as the farm expanded and my wife’s family bought up all the property surrounding the house. The road is lined with trees: large spruce on the left, maples and alders on the right. The cool air sinks along a dip in the road where a creek feeds into the pond. Frogs leap from their perches next to the water. Birds flit in the branches. I hoist the backpack up and breathe deeply, wiping sweat from under the brim of my baseball cap; it’s only a small incline leaving the pond, but Will’s weight adds exertion to this leisurely walk. “Almost home, buddy,” I say. He babbles. Our new house is 2.1 miles from Gammy and Pops’ house, one mile from cousins, Katie and Michael, and one mile from Uncle Benny and Aunt Kayda. 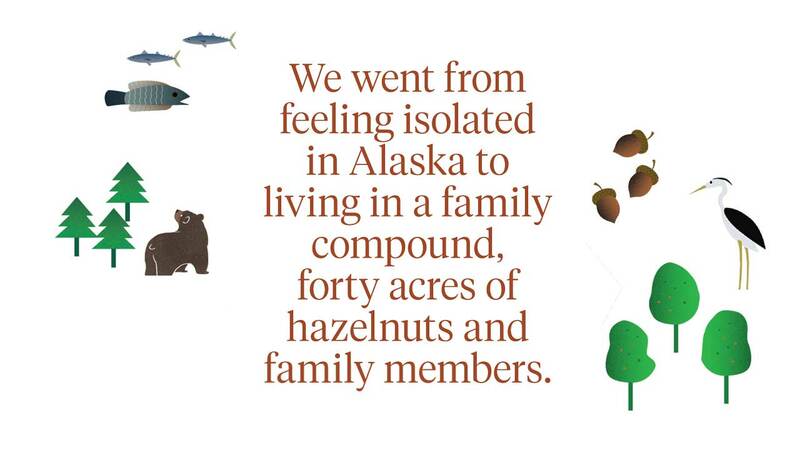 We went from feeling isolated in Alaska to living in a family compound, forty acres of hazelnuts and family members. Our family calls the house we live in “The Farmhouse.” It’s where Emily’s mom grew up—five kids in a house with one bathroom and two bedrooms. It’s a modest two-story home with white metal siding and green trim, most of which needs painting. Mice have a long history of residence in the walls and vents, and we still find little skeletons while cleaning and renovating. It’s our goal to update the farmhouse in exchange for the minimal rent we pay. We just finished installing new flooring on the first level, ripping out five different types of carpet and laminate to make one cohesive surface. Currently, our bathroom is under construction, a gaping hole where the tub used to be. With each new light fixture and flooring plank, the physical structure feels more like our home, and less like Grandma Jean’s place. As I hold the hazelnut, I sense that I’m holding much more than a means of financial security for my relatives; I feel a weight to these objects scattered around my new house. It is the weight of sustenance and care. I feel a new sense of home, too, as I start up toward the farmhouse. These small revelations of divine love, as Julian says, lie around each tree. “Home,” I hear him say. Mark Putney is a writer and a teacher. His writing has appeared in the Oregon English Journal and Sport-Literate and is forthcoming from the Ruminate blog. 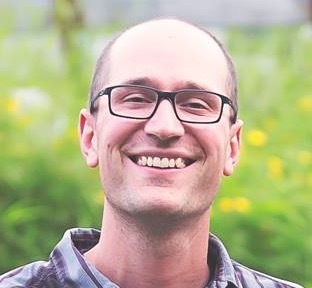 He was born in New York, grew up in Alaska, and now lives in Oregon with his wife and two boys. The sense of place in this essay, the detail is noteworthy. The language transports the reader to this destination. Lovely read. Theresa Griffin Kennedy | February 2019 | Portland, Oregon. Great work Mark. I read your paper from the inside of my truck but I felt like I was with you the whole way through your walk. I’m excited for Will to be old enough to read your work and also for him to reference once he becomes interested in your family’s history. Again, great job! Loved reading this! You brought out the special qualities of Kodiak and now how family and farm life in Oregon is making it feel like home. Blessings to you and your family! Great article. I appreciate the detailed descriptions of the Oregon rural beauty. Nice to read how the Willamette Valley attracts and supports great families. Kodiak's loss is Oregon's gain. Really enjoyed your piece Mr. Putney. Splendid writing and your connection to the land and its history is what we all seek: meaning, connection, happiness. Glad you've found it. I so loved going on this walk with you and Will in my mind as I read it. You have just taken a 68 yr old Nebraska woman on a wonderful journey. We don’t know each other but are related in a round about way dating way back to your grandpa Ben and his then wife Grace. Ben was my Uncle Ben and his wife Aunt Grace. When I was young Bennie as we called their son and I were the same age and my father and mother and some of my siblings would venture to Oregon from Nebraska every summer to visit our grandpa and grandma, Aunt Grace’s parents. We would always end up getting put up where all the kids were, Uncle Benny’s. Thinking about the chicken farm brought back such great memories. To get to be involved with the egg picking every morning was a privilege to us. The stories go on of course but those are for the reunions we still carry on and have done for the last 60 some years. I hope to get to meet you this summer if you come for the reunion. I was able to go with my parents and grandparents to Alaska back in 1966 when the Alcan Hiway was still gravel. It was a real eye opening experience at the age of 16. Memories are floating all over in this seniors mind as I read your wonderful story. I linger on, but just had to let you know how you have made my evening . Just a stranger/relative on the web. You don't know me but your mom does. I have never been to Oregon or Alaska but reading your article made me feel as though I have been to both places. Looking forward to your next entry. Wow, fabulous piece Mark! I especially enjoyed your description of how Homer was Alaska, but it didn't feel like "home" in a way that Kodiak did. And the ending, with your son saying "home"...wow. Really beautiful. I so enjoyed your descriptive passages as you walked through your land, reminiscing about the past while in the present. You have and will be giving your son an incredible gift. The gift of appreciating nature awesome well as family. Melissa Madenski writes about leaving her home of forty years and what binds us to the places in our lives.